DIN Standards are invented for a variety of components including industrial fasteners as DIN 7338 Solid Rivets. 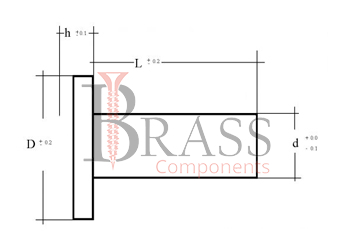 DIN 7338 Rivets are manufactured from Carbon Steel, Stainless Steel Grade A2 or A4, Brass, Alloy Steel, Plain Steel, Copper, Aluminium or many other materials. DIN 7338 Rivets are available in a wide range of sizes, shapes and materials. Known as fastener without threads. DIN 7338 Industrial Solid Rivets. Manufactured with soft, high quality materials for a perfect rivet. Loaded in single shear or double shear. Available with or without coating as per custom specification. Available in solid rivets type A, semi tubular rivets type B and tubular rivets type C.
Detachable assembly of two or more components fastened by one or more bolts or screws. Secure the static and dynamic working forces. DIN 7338 Rivets for brake lining and clutch linings. Provide riveting in the manufacture of pressure vessels or steel structures of bridges, halls and buildings. Widely used for General Fastening and Jointing applications. For varied Industries including Electrical, Construction, Installation and Machine Building. 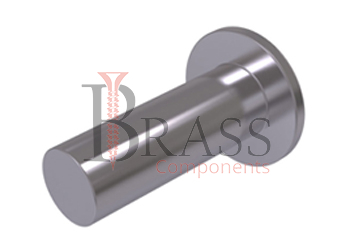 We manufacture DIN 7338 Rivets as per Custom Specification and export in Finland, Jersey, Spain, Switzerland, Ukraine, Austria and other European Countries. For more Information, Please Contact Us or Inquiry Now.